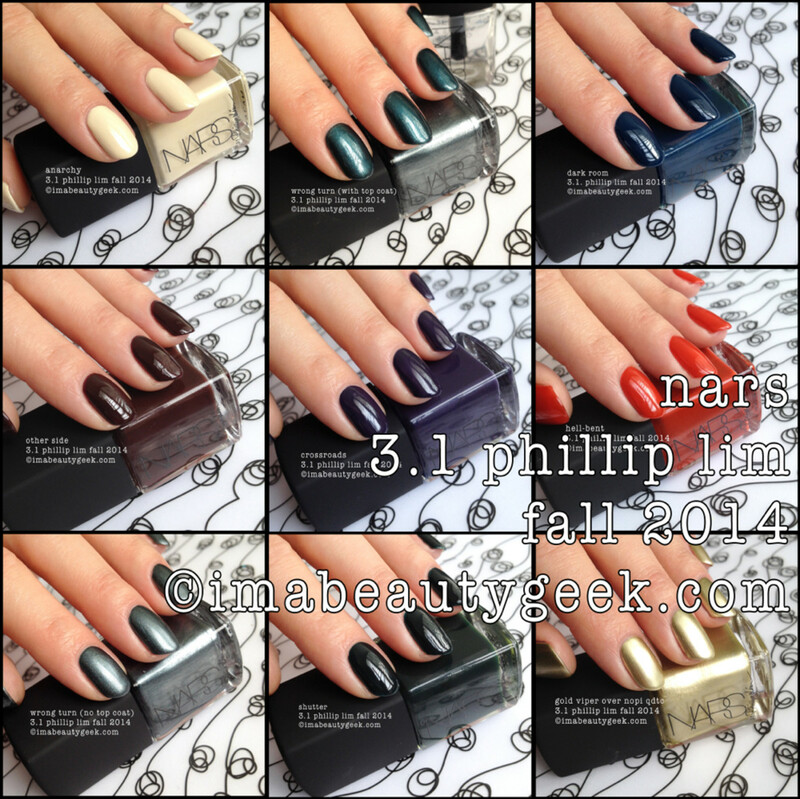 The 3.1 Phillip Lim for NARS Nail Collection for Fall 2014 makes me happy. 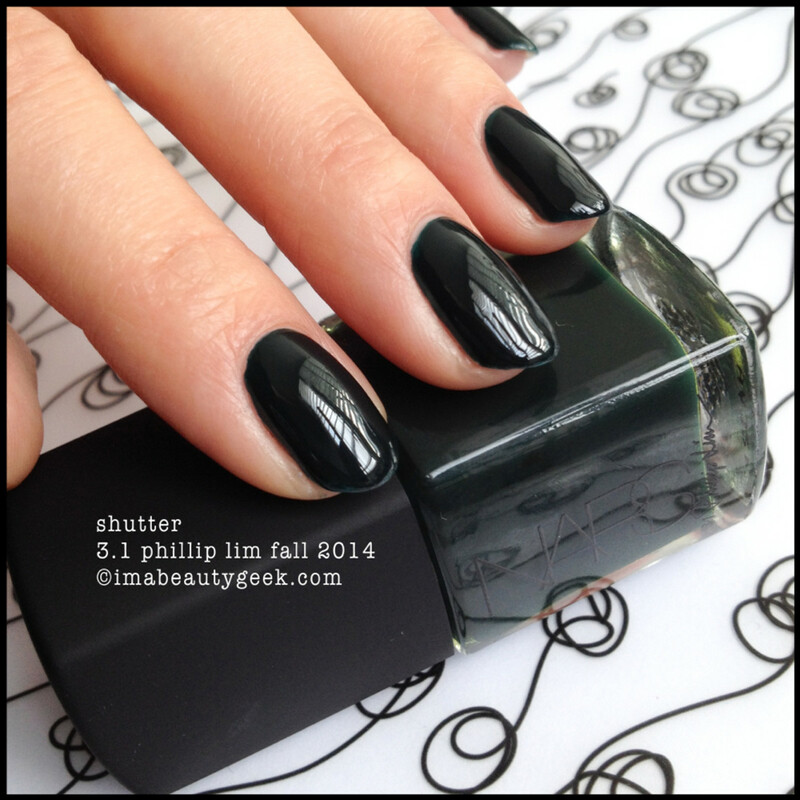 It’s full of those kinds of shades that make make fall a super-sultry polish season. above: nars 3.1 phillip lim anarchy I admit to slapping on three rather thick coats of this rather thick crème to get the coverage you see there. The level is pretty good though –and the shine? Fantastical! 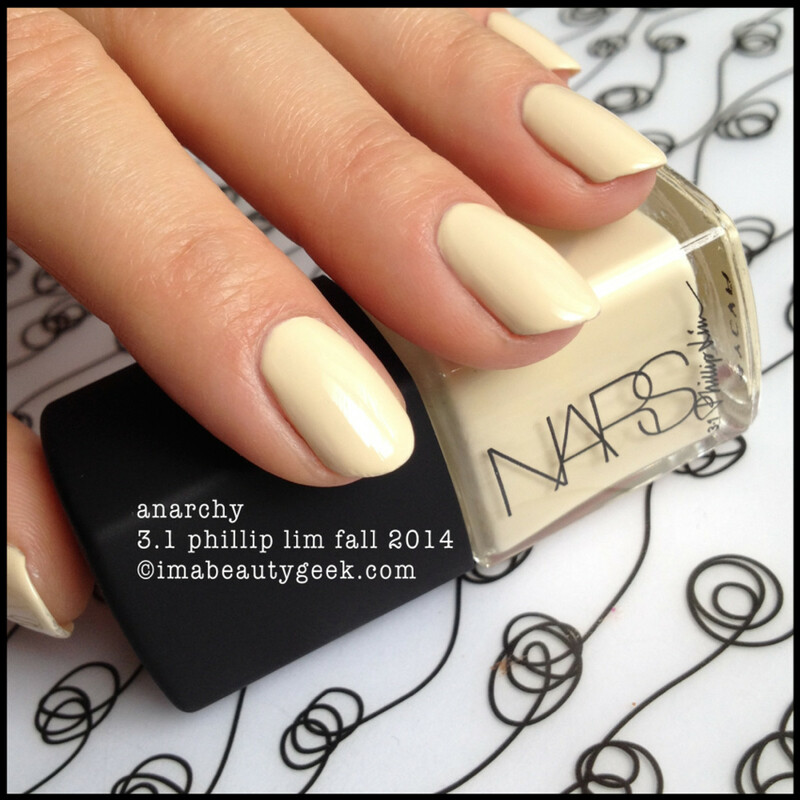 above: nars 3.1 phillip lim crossroads OCW!!! 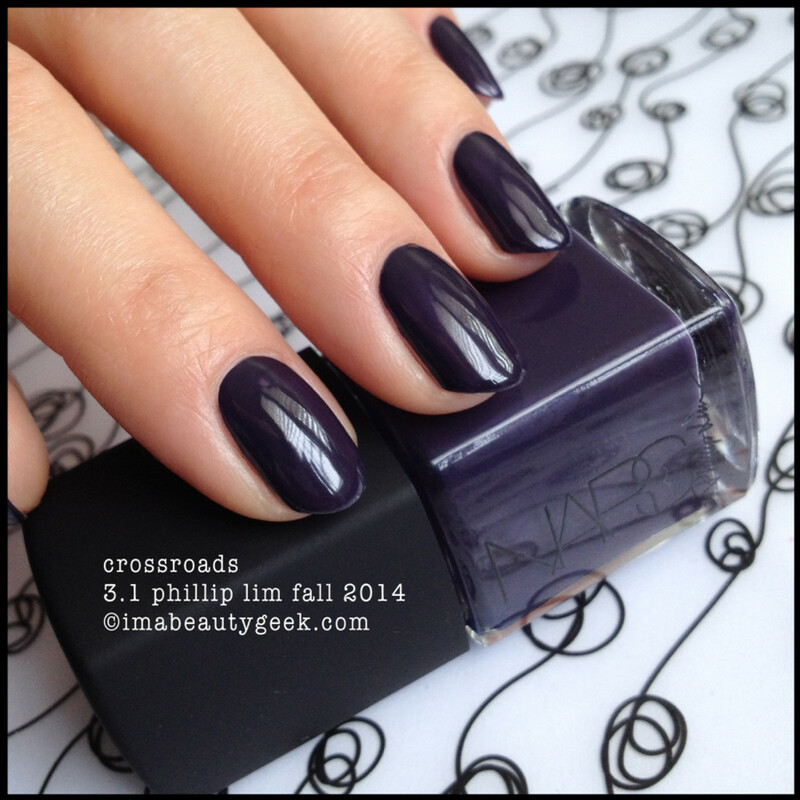 * Huh – I just went from having to do three thick coats of Anarchy to get good coverage to only having to do one normal coat with this purplack (purple + black) shade called Crossroads. What gives, NARS? 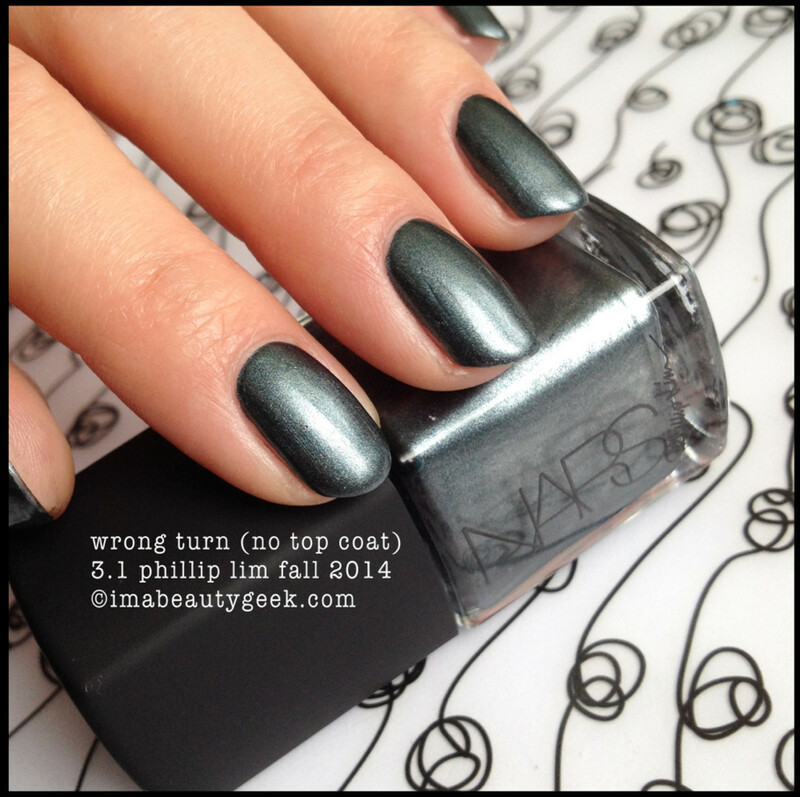 above: nars 3.1 phillip lim wrong turn OCW!!! Jeebz I love this colour. 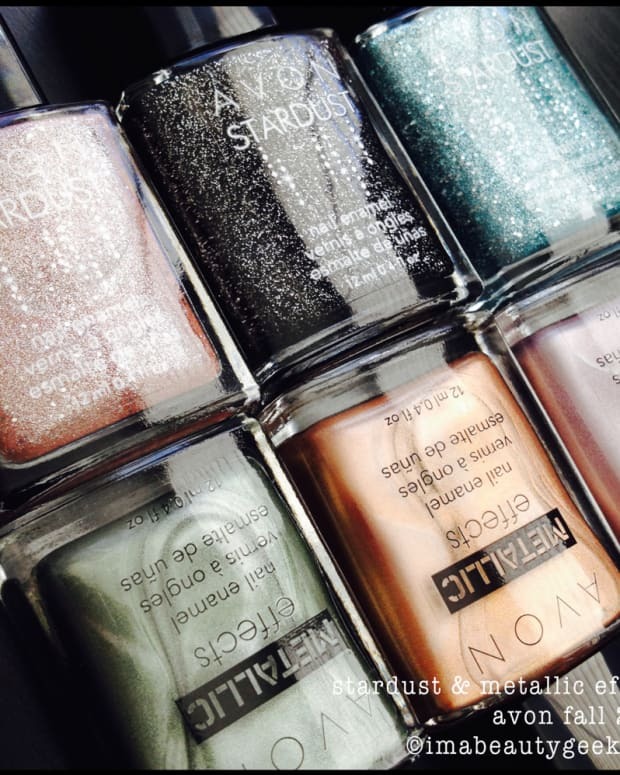 Sans top coat, it’s a beautiful dusty silver evergreen with a satin finish. 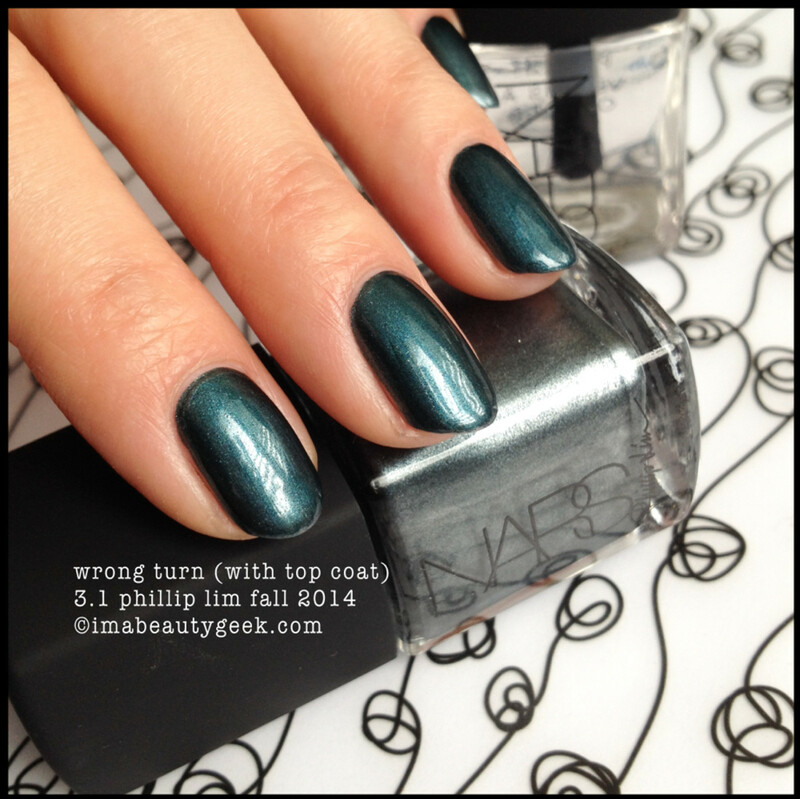 above: nars 3.1 phillip lim wrong turn with top coat Add a top coat to Wrong Turn and now it’s a shiny forest green that borders on teal. Stunner, yes? And I think it’s pertinent to tell you I took this off within minutes but I’ll betcha $5 it’ll stain so use a base coat. I did not. But you should. Always. 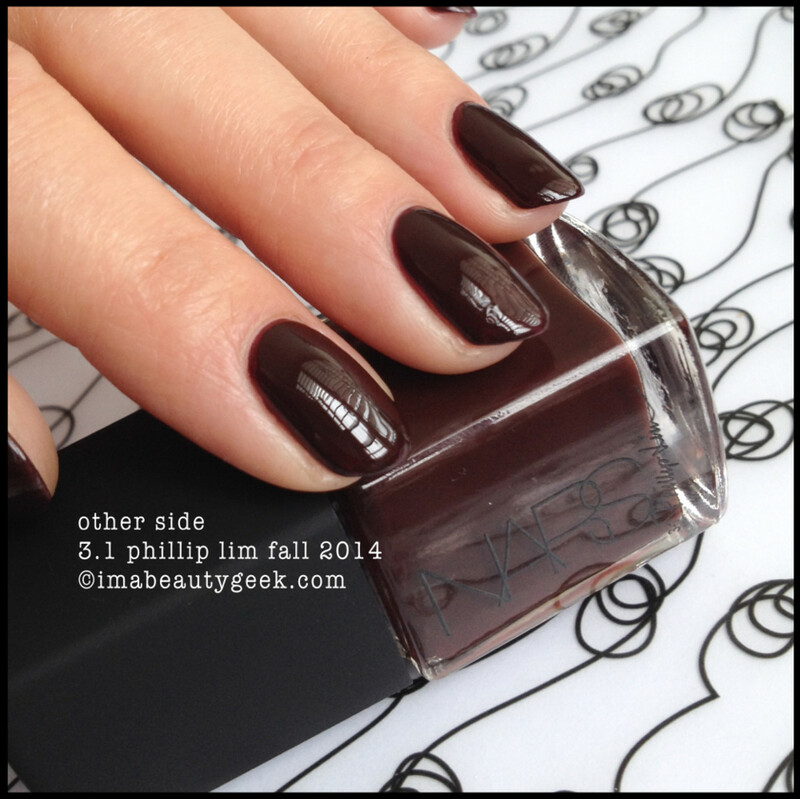 above: nars 3.1 phillip lim other side It’s exactly what you think it’s going to be when you look at in the bottle. Two coats will getcha what I got and I swear that brush is the old Dior brush. I swear it! 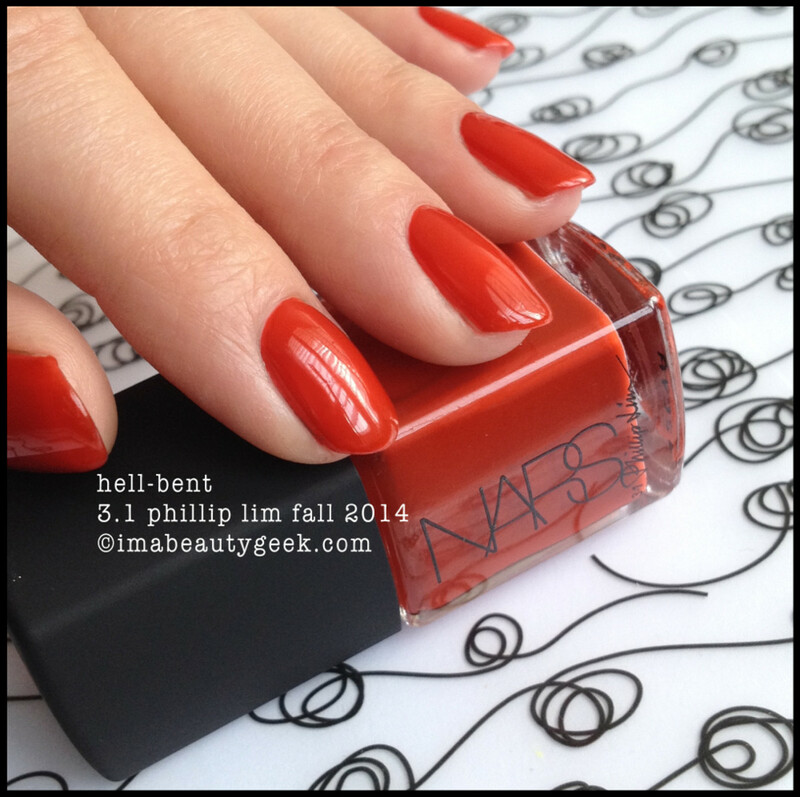 above: nars 3.1 phillip lim hell bent Oh, it’s just a super shade of rusty red/burnt orange that’s 100% perfect for fall in two easy coats. 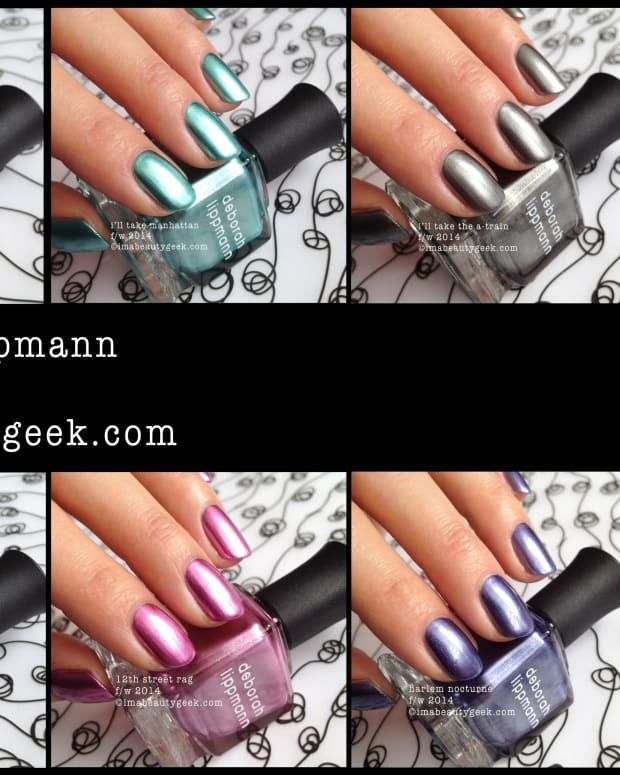 Not particularly shiny so hit it with your NARS top coat. 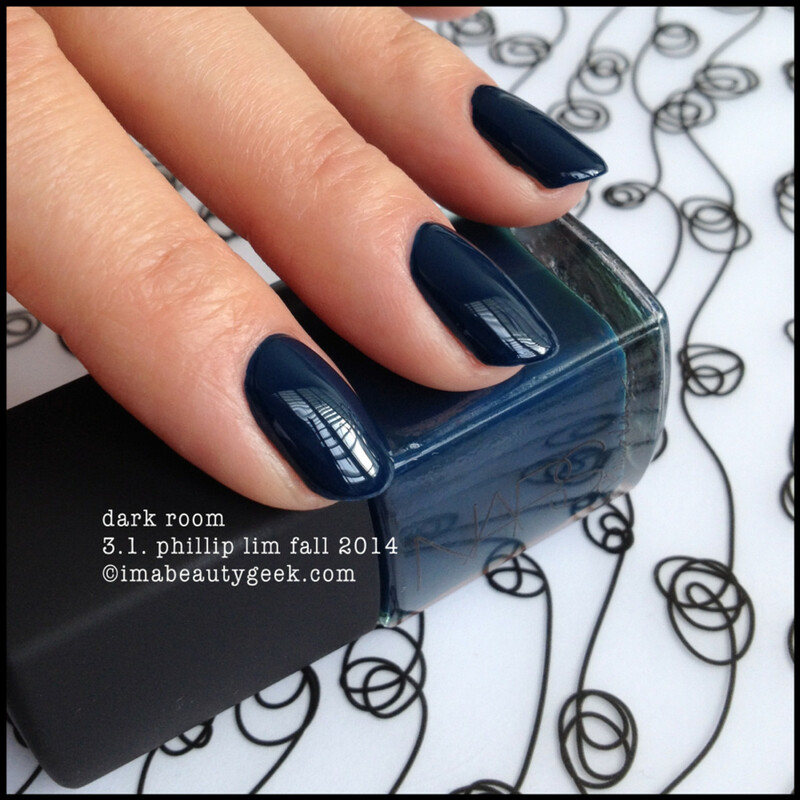 above: nars 3.1 phillip lim dark room Again, when you look at how the bottle translates to the nail, it’s exactly what you expect but with more shine and a side of cuticle-staining powers. After I took this off, it wasn’t pretty. Nope. 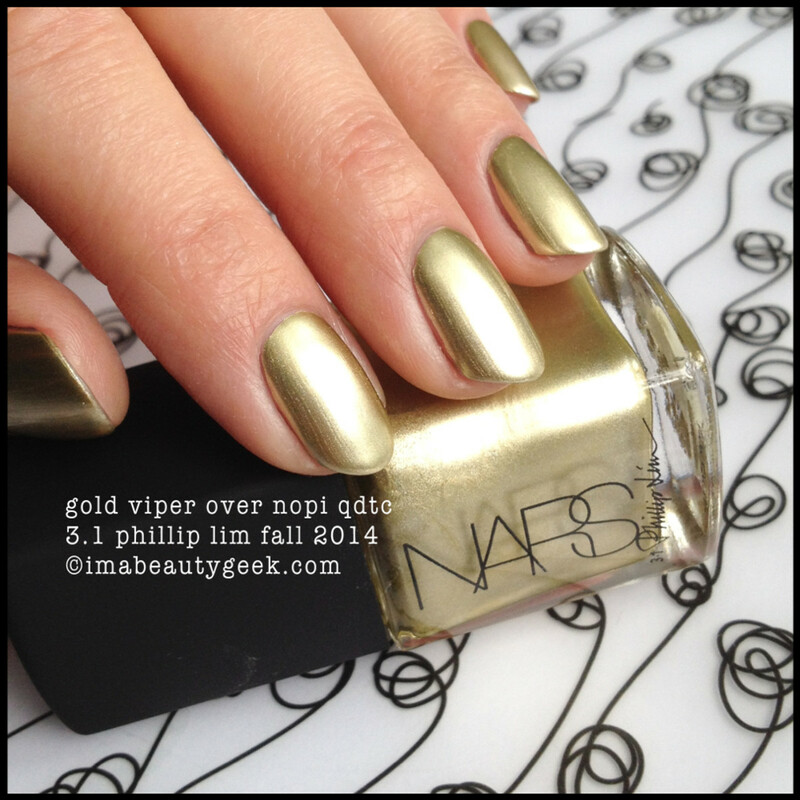 above: nars 3.1 phillip lim gold viper S’a chrome! Yep! I used one coat of this perfect golden chrome over 1 coat of Nicole by OPI Quick Dry Top Coat (because that’s my favourite basecoat for all the chrome things). Gold Viper goes on with some streaks and looks rather dull on application but wait for a minute and the streaks flatten out and the shine’ll reach out and smack you right in the eye. I dig it. This collection features the pop-off cap and new brush combo that was revealed earlier this year. I’ve heard stories of people not loving the brush but I’m a fan – it fits into my rounded cuticles like it was built just for me. It probably was, right? Apart from Anarchy, this stuff all applied like it should and dried with average dry time. Is it spectacular? If you love the shades, yes, it’s spectacular. 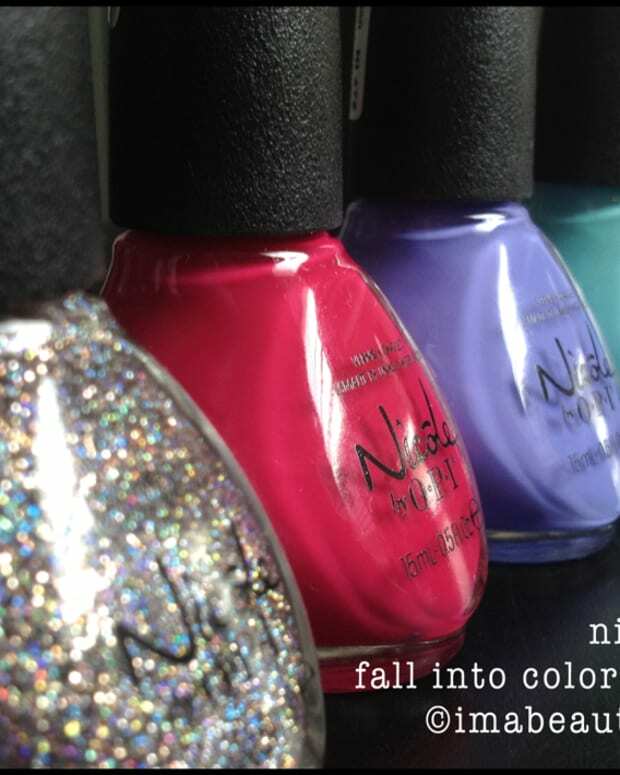 I love some of the shades.